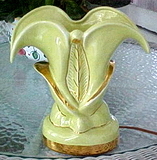 There's a number of companies that produced what appear to be Esco-Lite style TV lamps, but which are in fact another manufacturer entirely. 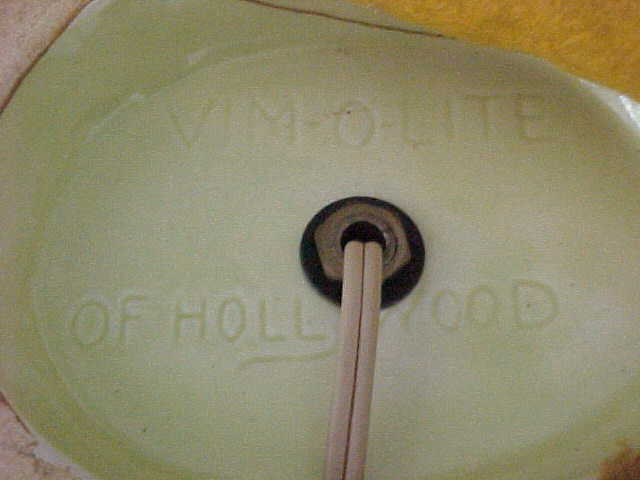 Vim-O-Lite of Hollywood was either tied with Esco-Lite in some way, or a flagrant "borrower" of their designs. 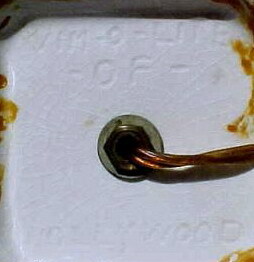 It sure looks like an Esco-Lite, but it's a Vim-O-Lite! Photos courtesy of Carol Davis, Klamath Falls, OR. Here's a view of the Vim-O-Lite marking that's hidden beneath the felt base. 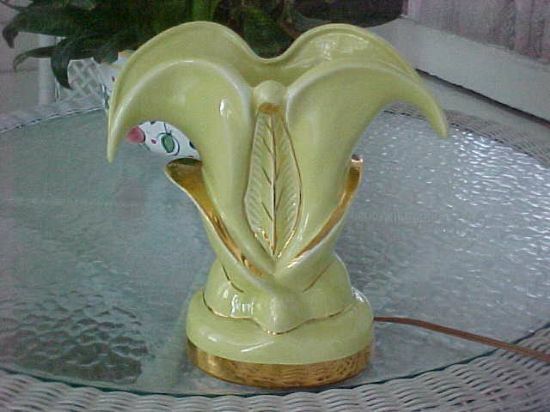 The Vim-O-Lite comedy-tragedy TV lamp isn't one you're apt to trip across every day! Photos courtesy of Gene from Lodi, California. 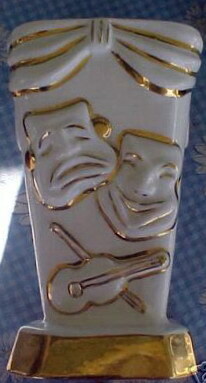 The bottom of the comedy-tragedy is marked, "Vim-O-Lite of Hollywood".